Marijuana should be legal ! Making anything from Mother Nature illegal is ridiculous! I really don’t understand why marijuana is illegal. Is marijuana any worse than alcohol or cigarettes??? I don’t think so. Alcohol deaths by driving are at 25000 people per year and overall 100000 deaths happen per year due to the affects of alcohol. In Bali, Indonesia an Australian dies every nine days because of the alcohol consumption and poisoning. For smoking 393000 smokers dies every ear in the United States. What is unbelievable is that smoking deaths have tripled in the past decade! Looking at these stats I don’t think marijuana should not be banned anywhere, because it doesn’t cause any deaths at all! Marijuana shouldn’t be banned. Alcohol should be banned and cigarettes should be banned. Maybe they shouldn’t ban it like the prohibition they should let them have small amounts of it and that’s it. This way the world won’t swirl into chaos. Now the world is so fast paced that the world drains our body so much. Lots of people tend to have depression. In America about 40% have depression or anxiety. Just imagine if marijuana is legal, this number could drop because marijuana helps anxiety or depression and makes you feel more positive. Marijuana actually benefits so much of the problems we have in our world today like drug addiction. Drug addiction is something that could destroy the rest of your life. But marijuana and alcohol are considered as a gateway drug, and I think that is just pathetic. 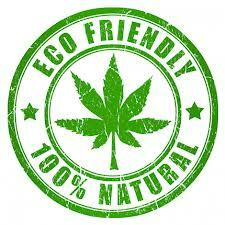 In 2009 over 100 million American citizens have tried marijuana, but only about 300000 are on heroin and cocaine. This proves that if you have self-control, smoking marijuana is not a problem. Marijuana is so light on our body, it just helps us relax, and that’s it! I don’t understand why people are making such a big fuss about this. Just like what I said in the beginning alcohol, cigarettes and drugs are addictive and marijuana is not. Do you actually think that Mother Nature will hurt us? I don’t think so, why do we think a plant would hurt us? It would be fair if we banned all plants not just one. I think we banned the most useful plant we could ever have. A marijuana dealer actually makes a lot of money. My friend spends almost 300 rmb a month to smoke weed. If the government took over marijuana and sold it. The government could make a lot of money. If this actually happened lots of countries could pay off their debts and the economy would skyrocket!! There might not be that much 3rd world countries. Marijuana is so useful and benefits our bodies so much, think about if we taught our kids to smoke weed. The life expectancy would grow! An old lady in India is about 110 year old lady said that her life long secret is to smoke weed. So if we legalize weed our life expectancy will rise. Think about if everybody lived till 100 years old. So many things marijuana can do and we just ban it if we legalize weed, our economy can skyrocket, we wont have that much anxiety, depression and cancer!. The world will be a better place!